Never let us put aside the thought of our ultimate aim. And what is this ultimate aim? To know God, principally, is why he conceived our days, our years. Therefore, let us try never to forget this ultimate aim, for everything depends on it. And for what reason? To serve him with faith, with love, and with constancy. Let us try to excel in all of this, then. Since God created us for love, he takes care of us for love, and for love he has promised us the prize. Six years later, Giuseppe met a woman named Maria Grazia. Maria told Giuseppe about a dream she once had about Padre Pio. In her dream, Padre Pio told her that she should marry. She explained to Padre Pio that she had decided not to marry and told him that she felt called to another mission. 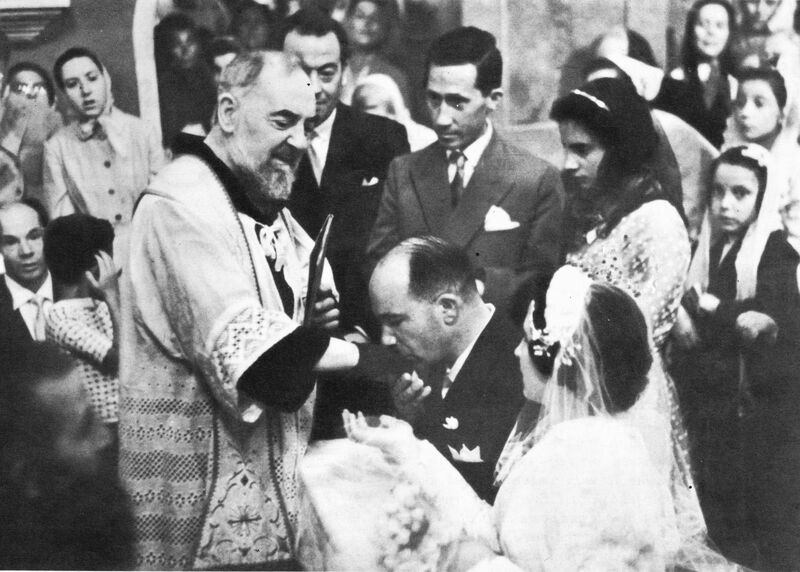 “Marriage too is a mission,” Padre Pio said to her. “If marriage is a mission, then make it work out for me,” Maria replied. Then she woke up. Giuseppe and Maria fell in love and when Giuseppe proposed marriage to her, Maria happily accepted. After the wedding, Giuseppe and his new bride made a trip to San Giovanni Rotondo to see Padre Pio and to tell him the good news. Pope Pius XII (Eugenio Pacelli) was admired by many for his profound and lifelong devotion to the Blessed Virgin Mary. He was ordained as a bishop on May 13, 1917, the day of the first appearance of Our Lady of Fatima to Jacinta, Francisco, and Lucia, the three shepherd children of Fatima, Portugal. 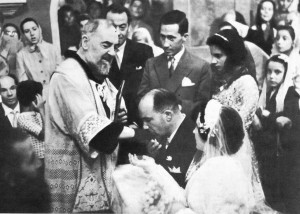 When Eugenio was elected pope in 1939, and took the name Pope Pius XII, he placed his pontificate under the special protection of the Virgin Mary. Pope Pius XII has often been spoken of as the most Marian pope in all of Church history. He consecrated the world to the Immaculate Heart of Mary in 1942. In 1954, he introduced a new Marian feast to the Church, the Queenship of Mary. He was the first pope to call for a Marian year, a practice which was continued by Pope John Paul II in 1998. Many of the saints canonized by Pius XII had great devotion to the Virgin Mary – such as Louis de Montfort, Pope Pius X, Catherine Labouré, Anthony Mary Claret, and Gemma Galgani. Maria Guerriero of Rome, among others, was involved in a very extensive writing and research project which, when finished, would be given over to Pope Pius XII. 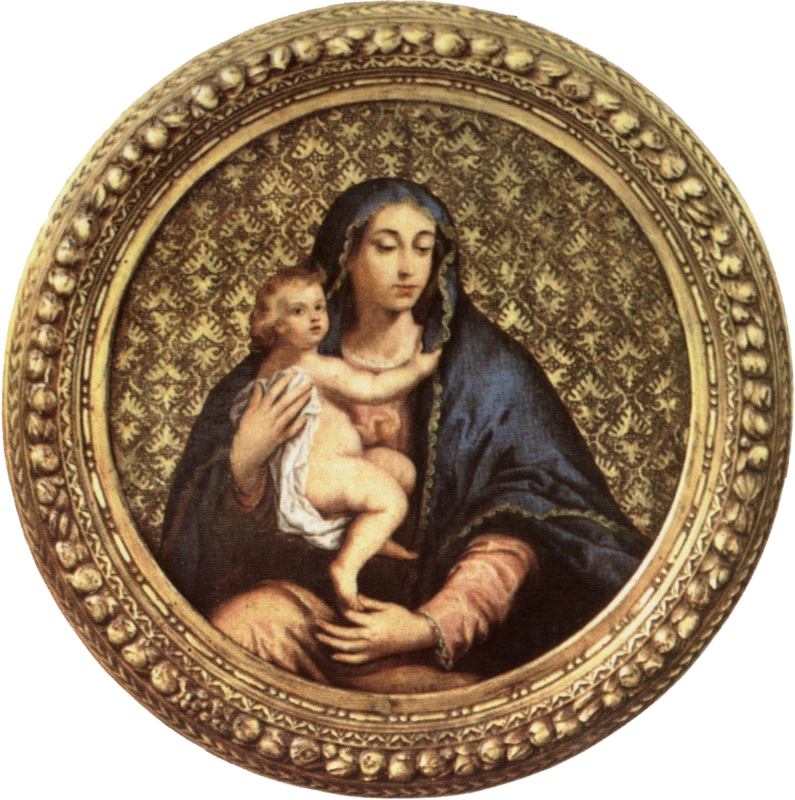 The information that was being compiled was in reference to the Assumption of the Blessed Virgin Mary. In August 1940, Maria’s two sisters, Laura and Antonietta, were preparing to make a trip to San Giovanni Rotondo. Maria asked her sisters to tell Padre Pio about the material on the Assumption which she was preparing for Pope Pius XII. When Maria’s sisters relayed the message to Padre Pio, he was very pleased. He told Laura and Antoinetta that if the Blessed Virgin had chosen Maria for such an important task, she must persevere in it, even if it was tedious at times and even if the results were not immediate. He assured them that he would keep Maria in his prayers. Maria devoted herself to the project in all of her free time. She often worked late into the night, after her daily duties were done. She had never been strong physically and after a time she began to suffer from exhaustion. Finally, her health broke. She was tormented by severe and prolonged headaches. The headaches were so painful that they proved to be debilitating. Eventually, she had to spend her days in a darkened room with her eyes closed. Maria’s family was very worried about her health. They wrote to Padre Pio and asked him for his continued prayers. When Maria woke up, she was completely free of pain. She felt strong enough to get out of bed and she was able to set about her work as though she had never been ill. That very day she wrote Padre Pio a letter, thanking him for her healing. A reply soon came back to her which said, “Let us thank God and Our Lady that you are well now. You must go on with your work.” Maria took up her research and writing again regarding the Assumption of the Virgin Mary and on January 31,1941, her work was finally completed and put on the desk of Pope Pius XII. On November 1, 1950, in the Apostolic Constitution, Munificentissimus Deus, Pope Pius XII proclaimed the Assumption of the Blessed Virgin Mary as a dogma of the Catholic Church. Pope Pius XII passed away on October 9, 1958. Just as in his life, after his death, signs of his love for the Virgin Mary were still evident. He was buried in Rome in the crypt of St. Peter’s Basilica on the feast day of Our Lady of Fatima, October 13, 1958. The Congregation for the Cause of Saints at the Vatican issued a decree which was approved by Pope Benedict XVI in 2009. The decree gave its stamp of approval to the heroic virtues in the life of Pope Pius XII and the title of “Venerable” was then added to his name. Mrs. Bertolotti first learned about Padre Pio in 1946. She longed to make a trip to San Giovanni Rotondo but the years passed and she was never able to do so. One night, she dreamed that she was at the monastery of Our Lady of Grace. She saw a man who walked toward the booking office where tickets could be obtained for Padre Pio’s confessional. The man had a letter in his hand that was addressed to Mrs. Bertolotti. He handed her the letter and with that she woke up. Mrs. Bertolotti thought about the meaning of the dream. It almost seemed to her that she was being called to visit Padre Pio. The dream made such an impression on her that she decided to travel to Padre Pio’s monastery. It was a cold and rainy afternoon when she got ready to board the train. Due to the many difficulties in her life, there was a sadness in her heart that day. The dismal weather did nothing to lift her spirits. As soon as she got to the monastery, she went to the booking office and got a ticket for Padre Pio’s confessional. She had to wait ten days before her number was called. She was able to attend Padre Pio’s Mass every day while she waited. Spending time in prayer in the church of Our Lady of Grace and attending Padre Pio’s Mass each day made her feel like she was “in heaven.” The days passed quickly and her heart was filled with a wonderful peace. Finally, Mrs. Bertolotti’s number was called. In the confessional, as she knelt before Padre Pio, she could not seem to find her words. Finally, she asked Padre Pio to accept her as his spiritual daughter and he agreed to do so. Before she left the confessional, she kissed his hand. When she returned to her home, she felt as though she had been completely transformed. The years ahead brought their share of problems, but Mrs. Bertolotti was no longer overwhelmed by them as she had been in the past. Her visit to Padre Pio had supplied her with the strength she needed to face all of the trials in her life. Aure Caviggioli was an antique dealer who lived in Monte Carlo, Italy. Absorbed in his work and in other interests, he had long neglected his spiritual life. On one occasion, he visited San Giovanni Rotondo and attended Padre Pio’s Mass. He felt uplifted by the experience. He returned to the monastery several more times. Because he felt a certain uneasiness when he was in Padre Pio’s presence, he was hesitant to make his confession to him. When Aure woke up the next morning, he reflected on the dream. What Padre Pio had said to him in the dream was indeed true. The painting had cost him exactly 25,000 lira. After much thought, Aure decided to give the painting to Padre Pio. He traveled to the monastery of Our Lady of Grace and presented it to him. Padre Pio smiled at Aure and accepted the painting. He seemed to be genuinely happy to receive the gift. The very next day, Felice wrote a letter to Padre Pio, recommending himself to his prayers. In the letter, he told Padre Pio that he was searching for peace of mind and peace of heart. In the late afternoon, just two days after sending the letter, Felice had a very strong desire to go to church. He had not done so in more than thirty years. As he sat alone in the quiet church, he was startled to hear a voice within his heart saying, “Faith is not up for discussion; you either believe it or you do not believe it. You either accept it or you reject it; there is no middle ground. You must choose one way or the other.” Felice was certain that it was Padre Pio who was speaking to him. Felice knew that for a long time, he had been drawing his own conclusions about Christianity. He was using his reason and his intellect to try to understand transcendental truths. It wasn’t possible. From that moment on, his life underwent a complete change. He felt a great sense of peace in his heart and he returned to the practice of his Christian faith. Aurilio Montalto of Bolzano, Italy visited San Giovanni Rotondo in order to make his confession to Padre Pio and to attend his Mass. He returned a number of times and felt so inspired that he decided to move there permanently with his wife and four children. He bought a hotel close to the monastery and from the income, he was able to provide for his family’s needs. Aurilio had a brother who was a non-believer. His brother visited San Giovanni Rotondo for the first time right after Padre Pio passed away. Before the funeral, Aurilio’s brother had a desire to see Padre Pio’s body while it was lying in state. However, it was so crowded in the church that he was never able to do so. One day Aurilio and his brother had a talk about Padre Pio. His brother explained that he had no feeling for Padre Pio. He certainly did not believe that he was a saint. All the talk about Padre Pio left him cold and completely indifferent. Not long after, he walked over to the church of Our Lady of Grace and sat alone on one of the back benches. Suddenly he felt a tap on his shoulder and heard a stern voice. He turned to see who it was but there was no one there. He became frightened and immediately got up and moved to another bench the church. A second time, he heard an authoritative voice and felt someone touch his shoulder. He looked closely but there was no one there. Feeling a mounting fear, he broke out in a cold sweat. He could not understand what was happening. The next time Aurilio saw his brother, he heard every detail of his unusual story. “How does someone go about making their confession?” his brother asked. Aurilio was happy to explain everything about the sacrament in great detail. “How does one prepare himself to make his first Holy Communion?” his brother asked. Again, Aurilio was delighted to explain it to him. That night Aurilio’s brother had a dream. Padre Pio was standing beside him with a Rosary in his hand. In the dream, Padre Pio taught him how to pray. The dream marked the beginning of his conversion. Right after that, he asked to be received into the Catholic Church. From that time forward, he lived a very devout life. After Bernadette Palo had long-discarded her Catholic faith, she became interested in spiritualism and in the occult. One night she dreamed that she saw Padre Pio standing in front of a church. She told Padre Pio that something was bothering her. Padre Pio smiled at her and said, Give it up! Give it up! Bernadette understood that Padre Pio meant that she should give up her study of the occult. But if I do that, how can I make progress on the spiritual path? How can I be good? Bernadette asked. God thinks you are good enough already, Padre Pio replied. After the dream, Bernadette had a desire to go to confession. She prayed for the courage to do so. She finally made her confession and returned to the sacraments after an absence of twelve years. When Nancy Sinisi developed a kidney disease, the doctor explained to the family that her condition was life-threatening. She was placed on dialysis three times a week and became a candidate for a kidney transplant. Nancy’s mother had recently learned about Padre Pio. She decided to write a letter to him, asking him for his prayers for her daughter’s recovery. The year was 1967. One day when Mrs. Sinisi was telling her family some of the details of Padre Pio’s life, the room became filled with a beautiful perfume. It wasn’t long before Mrs. Sinisi received a letter in reply from San Giovanni Rotondo. The letter said that Padre Pio was praying for Nancy. The letter also stated that prayer must always be made according to the will of God. When the doctor confirmed that Nancy would definitely need a kidney transplant, Mary Ann, Nancy’s sister, became so concerned that she sent Padre Pio a telegram and requested his prayers. That night Mrs. Sinisi had a dream of Padre Pio. In the dream, Padre Pio said to her, “It was not necessary for a telegram to be sent to me. I was already praying for Nancy!” Later, Nancy received a kidney transplant. The operation went very well and the Sinisi family was confident that Padre Pio had assisted Nancy with his intercessory prayers. Michael Gervais and his parents once attended a series of inspirational talks given by the Oblates of Mary Immaculate in Augusta, Maine. One evening, one of the priests, Father Valliere, spoke about Padre Pio during his presentation. The Gervais family had never heard of Padre Pio. Mr. Gervais was so interested in what Father Valliere had said that he went to the Bangor public library and put in a request for several books on Padre Pio. They were evidently popular books because it took more than a month for them to arrive. The books had obviously been rebound because the covers were plain and devoid of pictures. Mr. Gervais placed them on the washing machine across from the kitchen window in his home and looked forward to reading them. The next morning, Michael’s mother told the family that she had a very unusual dream the night before. The dream made such an impact that it woke her up out of a sound sleep. She dreamed that she was awakened by a loud noise coming from the kitchen. When she went to investigate, she saw a bearded man with piercing dark eyes who was rattling the kitchen window, trying to get in the house. He looked like he was about thirty-five years old. Her husband let the man in the house. Mrs. Gervais then noticed a car parked in front of the house. As she stared at the car, some words appeared in a scroll-like manner on the side of the car. The words said, “You and me and the Divinity and your children.” The dream then ended. One of Padre Pio’s spiritual daughters met Padre Pio when she was just eighteen years old. She was suffering from poor health at the time. Padre Pio put his hand on her head and said to her, “Do not worry about anything.” His hand felt like a very heavy weight pressing on her head. She was healed at his touch. Later, when she married and had a family, there were many trials to face. She found out that her husband was unfaithful to her. To add to her heartache, one of her children became addicted to drugs. During this difficult time in her life, she had a vivid dream of Padre Pio. In her dream, she was in a country setting and in the distance she saw Padre Pio. He was running toward her. As she pondered the meaning of the dream, she was convinced that it meant that Padre Pio knew all about her problems and was interceding for her. She recalled that the first time she made her confession to him, he told her not to worry about anything. She placed herself under Padre Pio’s protection and had faith that all would be well. Grant me your grace, O most merciful Jesus that your grace may be with me, and work with me, and remain with me to the very end. Grant that I may always desire and will that which is most acceptable and pleasing to you. Let your will be mine. . . Grant that I may die to all things in the world, and for your sake, love to be despised and unknown in this life. Give me above all desires, the desire to rest in you and in you let my heart have peace. You are true peace of heart. You alone are its rest. Without you all things are difficult and troubled. In this peace, the selfsame that is in you, the Most High, the everlasting Good, I will sleep and take my rest. Amen.